Glasses by Warby Parker cleverly using the iPhone’s camera to take maps of people’s faces, and use that data to recommend styles of glasses that will best fit your face. It’s a step beyond the digital try on system the company has previously offered, where it would try to place a virtual pair of glasses on a picture to let you see how it looks. Warby Parker dips into AR with the launch of virtual try-onWarby Parker is today introducing virtual try-on to let shoppers select a pair of frames and instantly see how they look. 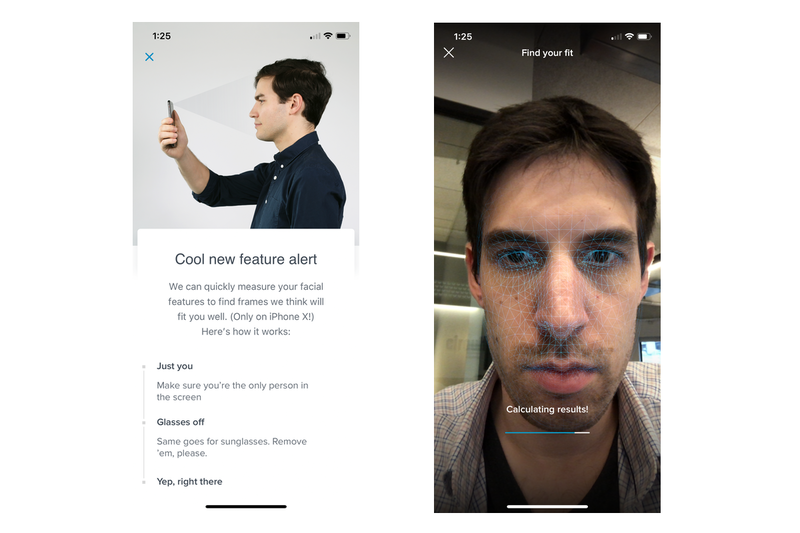 The tech was built on Apple's ARKit, and the feature is only available to users on the Warby Parker iOS app on an iPhone X or later. Ankush Gupta has used this product for one day. So, technically this tech has been around for a while, or at least different versions of it. From simply 'check your new make-up' to full body scans for clothes etc. What would be good is you scan your face and the store holds a 3d version allowing them to update your prescription whenever needed. Of course, then we tread over to the 'personal data/ security/ facial recognition realm and the fact that Apple will have even more data to use against you. Now this is a cool concept for buying glasses. Amazing work Chris. Damn, now I have to buy an iPhone X in order to get a perfect frame. Titanium frames & blackout lenses. Made by master craftsmen.